What is your past musical background? When did you first start playing guitar? Music is one of my earliest memories. I was 4 and I had a 45 of “Ready Teddy” by Elvis Presley. I wore that thing out on my Mickey Mouse record player. As I got older, listening wasn’t enough for me. I wanted to learn the craft and become a musician. I started out on drums when I was 12 and moved on to guitar the next year. How did you initially become involved in rockabilly? 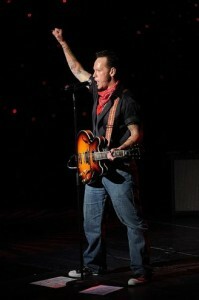 I loved that music years before I even knew it was called rockabilly. Music of the 50s was always my favourite. I loved Elvis Presley, Chuck Berry, Carl Perkins, Jerry Lee Lewis, and Johnny Cash. To me that stuff was always the greatest. In 1982, I grabbed “Built For Speed” by The Stray Cats. That record knocked me out. A contemporary band playing rockabilly music, and doing it better than the original guys of the fifties. 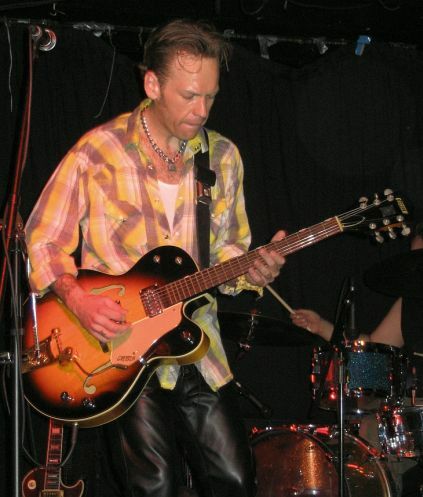 Brian Setzer became a big influence on me. They had the cool, swagger of the 50s guys and a little bit of the punk rebelliousness. The Stray Cats also made me realize that this wasn’t just music of the past. Do you find that the Canadian musical community is supportive or do you get more interest abroad? I haven’t toured abroad with Moon Violet so I really can’t say. Although, I have sold a few records in Europe andSouth America. They really loveAmericana music like rockabilly and roots country. I think those places are more open to give new artists a listen whereasNorth America still wants cover bands and pop stars. So many. Elvis Presley, Stray Cats, Johnny Cash, Bruce Springsteen, Steve Earle, Ramones, Motley Crue, Joan Jett. Musicians and rock stars were my superheroes as a kid. I’ve taken all my different influences and brought that to my music. What type of gear do you use? Are you a firm believer in playing vintage tube amps and guitars to replicate the 50’s sound? Have you tried modeling amps? I do love vintage gear, but I’m not that much of a gear head. I have a set of Rogers drums from the mid 60s which sound glorious. I’ve used them on all my records. My main guitar amp is a 70s Music Man which has great tone. Very warm and punchy. It’s deceivingly loud too. I also have a few Fender Deluxe Reverbs I use. My pride and joy guitar is an early 60s Gretsch diamond anniversary. I use that for all my rockabilly songs. That was the guitar used on the latest “Rock’n’Roll Party” record. It’s almost 50 years old now so I’m getting apprehensive bringing it out to the live gigs. I may have to break down and get a newer one for live shows. I’ve also got a 80s Les Paul and a 70s Telecaster. With those 3 guitars, I’ve got it all covered. Are there any current Canadian bands that deserve mention? Does country music influence you? Absolutely. The roots of rock’n’roll. Without country and without rhythm & blues, there’s no rock’n’roll. 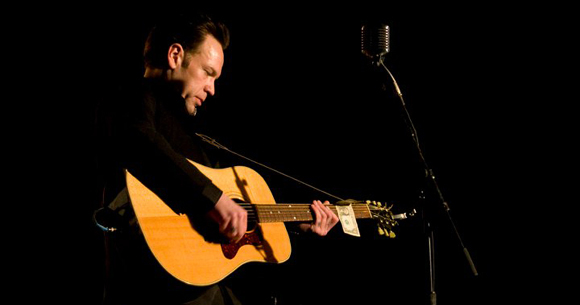 You can hear rockabilly in Hank Williams and Johnny Cash. They were pure country to the bone, but also put blues and gospel into their music and that’s where it all starts. I thinkBigRiver by Johnny Cash is one of the greatest songs ever written. Those early Cash sun sides walked the line between country and rock’n’roll. Huge influence on me and my music. How did you choose the covers for your cd release? Teenage Head are usually described as the Canadian Ramones but I think that may be a bit of a lazy comment. I understand the energy is there but I think their music plays on a lot of early rock and roll influences. Do you agree and did this help pick Teenage Beer Drinking Party knowing it could easily translate to a rock a billy composition? Yeah man, Teenage Head always reminded me of Eddie Cochran meets the Ramones. Gord Lewis’ Ramones guitars matched with Frankie Venoms 50s Elvis singing. The attitude of the 50s rockers and the 70s punks are very similar. Fashion as well. I love Teenage Head and always wanted to cover one of their songs. TBDP lent itself well to the rockabilly vibe I was goin’ for with this record. I also knew it would be a great song for Kyle to lay down some Jerry lee Lewis style piano. I’m very proud of the recording we got. It’s one of my faves on the album. I was able to get a copy to Gord and Steve from Teenage Head and they loved it. How influential is Punk Rock on you and your music? Punk music doesn’t influence me as much as other genres but the attitude, the simplicity and the D.I.Y. aspects of it are a big influence. As rock’n’roll exploded from the 50s to the 70s, it had grown to outlandish and over indulged “corporate” rock. It started going downhill when they dropped the “’n’roll”. The punks stripped it back to the essence and proved that desire and attitude is all you need. They were revolutionary like the rockers of the 50s. Are there plans to tour out of Canada i.e. : USA, Europe? Not at the moment. I’d love to, but putting together an out of country tour without support is tough these days. For now, I’ll keep doing local shows, recording new music and get it out there to be heard. Is there anyone living that you would love to jam with? I had the chance to jam with Gord Lewis of Teenage Head. I sang Teenage Beer Drinkin’ Party with him. That was awesome. Music is a thrill. It’s an amazing feeling to get together with a group and make a sound. I’m still waiting on the call from Springsteen. 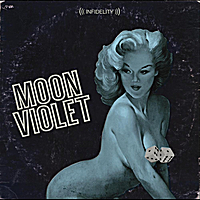 How did you come up with the name Moon Violet? I couldn’t think of a good name for the band. I tried The Rave. I tried Lee McCormack’s Superstar All-Star Rock’n’roll Revue. I kinda liked that one but it was a bit long. We were called The Hop at one point. I didn’t really dig that. I went to a Blue Rodeo show one night and thought, I don’t know what Blue Rodeo means, but it sounds cool. I started mix matching random words and came up with Moon Violet. That one stuck. Rockabilly can sometimes be repetitive or filled with formula. How do you keep the overall sound but come off sounding original or exciting? I go for the attitude and style. Perform the song and let the influences come out in the music. The songs I wrote for this record were not specifically written to sound rockabilly, but the band setup and instruments were. I was going for a Sun Records vibe. Most of the instrumentation recorded on Sun was a 4-piece setup (guitar, bass, drums and acoustic guitar or piano). 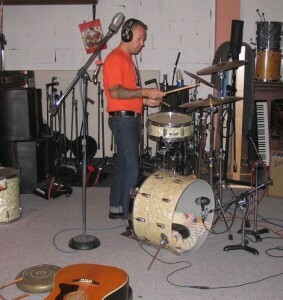 I play all the drums when we record and I set my kit up like Slim Jim Phantom. Standing, bass drum, snare, ride cymbal, crash cymbal, no hi-hat, no toms. The only tom on there is a floor tom on a cover of Cherry Bomb by the Runaways. 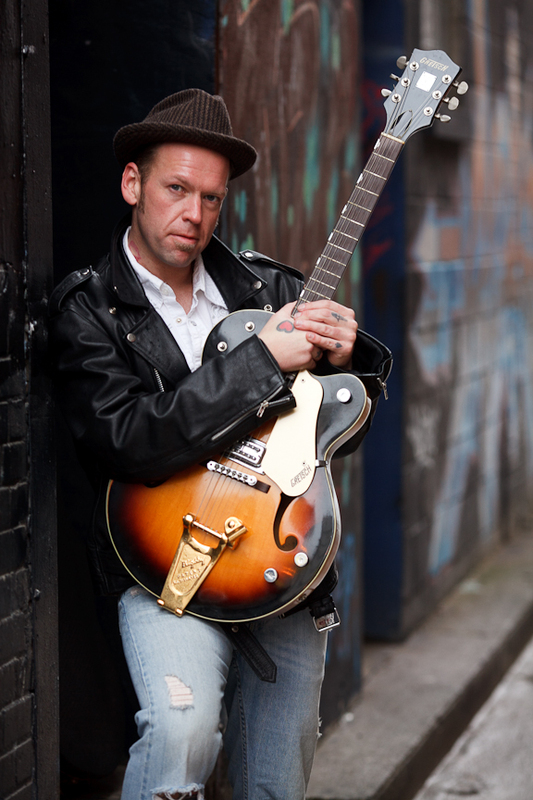 Definitely not a rockabilly song, but you hear that early rock’n’roll vibe when played with an upright bass, rockabilly drums and a Gretsch guitar. The song may not be rockabilly but the style and vibe is. It doesn’t appear that you have any songs about Cats. Could that have you ousted from the Rock abilly community on that merit alone? Seriously. I’ll have to remedy that for the next album. I never get sick of beer. Steam Whistle, brewed locally here in Toronto, goes good with rock’n’roll music. Great bottle too. You gotta have a good bottle. I’ve been digging Cherry Coke lately too. That goes good with cheeseburgers. Are there plans for more Moon Violet releases? Absolutely, although I’m not sure when or how it’s gonna happen. The shift in the music industry the last 5-10 years has really changed the way things are done. The formula to sell CDs and play shows doesn’t seem to work anymore. People aren’t buying CDs. People will always want to go out and see a live band, but buying music seems to be fading away. I’m working on new songs and will hopefully record down the road. I may go with more of a country/roots rock vibe for the next record. I feel like bangin’ away on my acoustic. Maybe a live recording of new songs or sumthin. Maybe a digital only release. Regardless, the music business will not hinder the music creativity. Who plays on your cd and what is their background? I played all the guitars and drums. Anthony Amodeo played upright bass. I’ve played with him for years around Toronto. 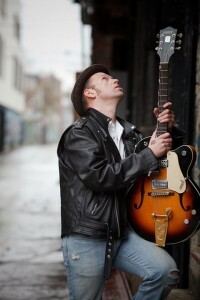 One of the only upright bass players in the city that gets the rockabilly slap style. Kyle Esplin played great boogie woogie piano on 4 tracks. He’s from Scotland. I played drums with him for a few shows and we bonded on or musical tastes and love of Sun records. I’ve never heard or seen anyone play piano that closely to the Killer, Jerry Lee Lewis. He was happy to record some piano tracks at his studio in Scotland and I was lucky to get ‘em. Dallas James did some background vocals. Dallas was the lead singer with Moon Violet for our first release “C’mon Let’s All Go”. She has a great voice and makes everything better. Were you ever in the Kiss Army? I love KISS. They were the first band I obsessed about. I still remember flipping through my uncle’s records and coming across their debut album. That cover mesmerized me and the music was even better. Ace and Peter are the greatest. I will always be a KISS fan although I don’t support them these days with the imposters in the band. As a fan, I’m insulted by them dressing up hired guns as Ace and Peter. How do you find the Toronto musical community is overall? Is it cliquey? Yeah kinda. Toronto is a big diverse city with lots of people, venues, bands and artists, but that competition can create cliques, especially with club owners and bookers. It’s a lot of who you know. But obviously, there are more opportunities here then Halifax or Saskatoon for example. What is your favorite gig and why? 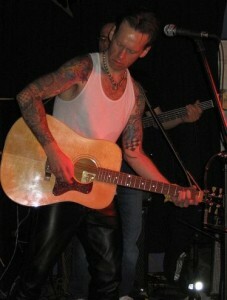 The one that comes to mind is a Johnny Cash tribute gig I did after he died the autumn of 2003. Johnny Cash has always been a big influence on me and I decided to put together a tribute show after hearing of his passing. Very quickly I rehearsed the band and learned about 25 Cash songs. The show went off great. It was very effortless performing these songs even though I’d really only learned most of them the previous week. The joint was packed and the crowd was loud and rowdy. The show went off so well that I’ve always had this Johnny Cash tribute show ready and we’ve performed it countless times over the last 9 years. I’ve probably performed the show better recently but the first one was special. Does Moon Violet have groupies? Do they wear Poodle Skirts and in this day and age are there furry poodles underneath those dresses or more like the hairless dog variety? There have been a few “band-aids” over the years but alas, I haven’t seen one poodle skirt. Too many chicks wear pants. I love a nice skirt or dress. I’ve seen all sorts, but hairless kitties seem to be trending these days. Hmmm… I may have some inspiration for a song about Cats now. Did The Stray Cats influence you in any regard? Absolutely. Getting their album at a young age really shaped my musical taste. I went back and discovered all of their influences. When they came out in the early 80s there was nothing that sounded like that. Music had really strayed from its origins and Setzer and the Cats brought it back to its roots and made it contemporary. And they backed it up with musical chops. All 3 of those guys could play. They are my desert island band without a doubt. Were The Bop Cats ever on your radar? Is Teddy Fury the best bartender in town? Not so much. I was a bit younger when they were in the clubs and didn’t really discover them until later. Teddy has a solid haircut no doubt. I can respect that. 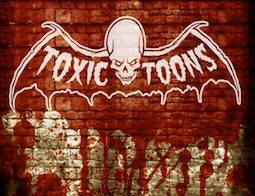 Did the Psychobilly scene i.e. Meteors, Guana Bats ever get spun on your turntable? Not really. Nothing really grabbed my attention in that scene. I dig the vibe though. Is there anything you regret about anything in the history of your musical path? Sure, but I’ve let go of all my regrets. Regrets stay with you for life and that’s a lot to carry around. Maybe if I did things differently I’d be better off, maybe worse off, who knows? I was nervous about my voice at first and didn’t want to front the band. I started off as a drummer and it took me a while to get the confidence to stand centre stage and belt out a song. I regret not conquering that sooner because it feels very natural now. Who is the real king of Rock and Roll? Elvis Presley. He did it all, he did it first, and he did it best. Do you use any effects to get your sound or just slight reverb…? 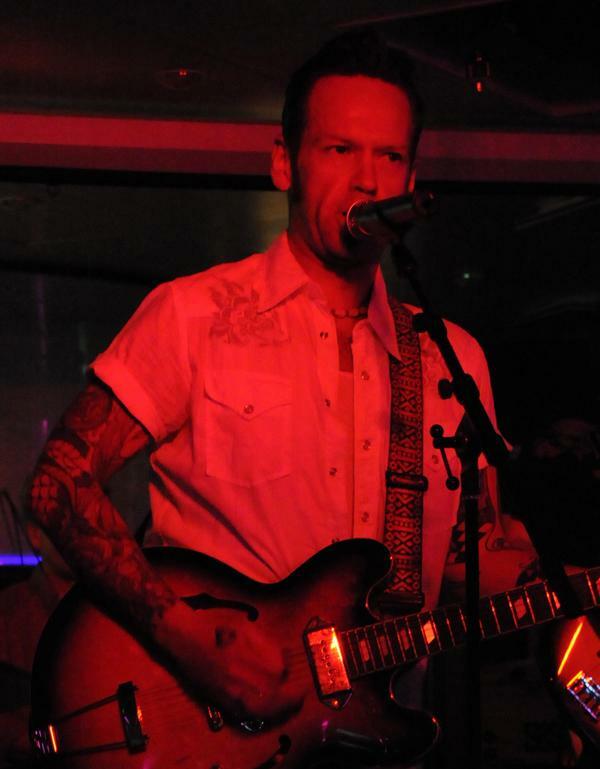 Live I use Danelectro overdrive and echo pedals. In the studio it was straight into the amp, cranked for overdrive effect and a Roland Space echo for some slap back. What is your musical guilty pleasure? Abba? Not Abba, but I gotta say I really dig Duran Duran. Great musicians, catchy songs and lotsa pretty girls like them. Brylcreem smells great, but doesn’t give me the hold I need. Definitely not gel…dries out quickly. Too Jersey Shore. Currently I use a combination of KMS hair paste and Jojoba molding wax. I get the hold, the shape and the smell. Stay tuned to www.moonviolet.com for upcoming releases. 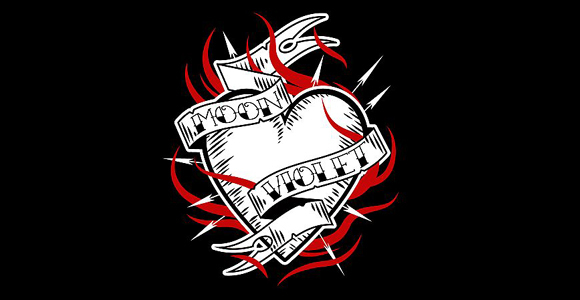 We’re also on social media Twitter and Facebook at Moon Violet Music. I appreciate the interest. How does this release differ from past releases? On my previous albums I’ve combined different styles from country to hard rock. On Rock’n’Roll Party with Moon Violet I went for a specific sound and vibe reminiscent of rockabilly and 50s rock’n’roll. This record is more focused. A good time, rock’n’roll, party record.